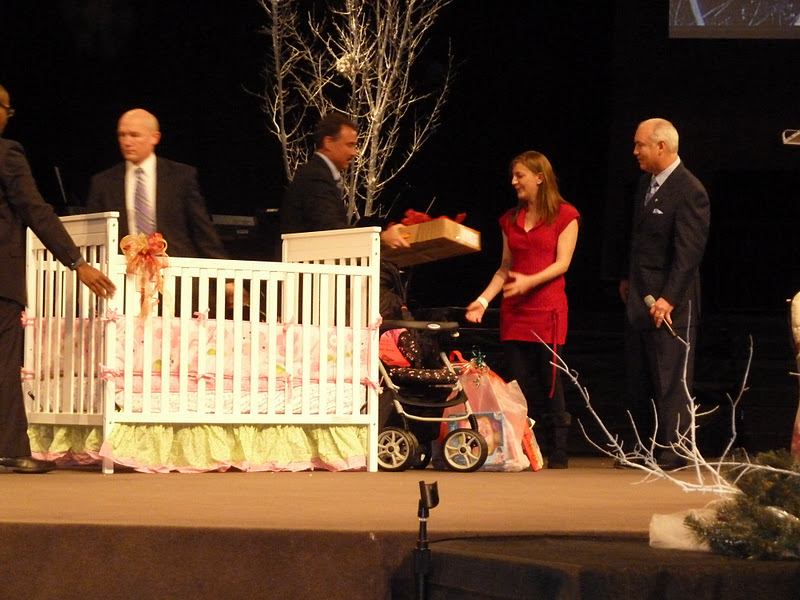 Mercy Ministries News: Cornerstone Church Gives Mercy Girls the Christmas Surprise of a Lifetime! 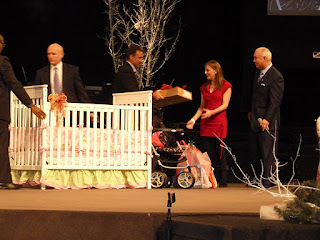 Cornerstone Church Gives Mercy Girls the Christmas Surprise of a Lifetime! Each year for Christmas, Cornerstone Church in Madison, TN celebrates the true meaning of the season by choosing several special people from the community who are in need, and generously lavish them with gifts to meet their specific needs. This year Cornerstone Church picked two current Mercy residents and three Mercy graduates to surprise! On Sunday morning, these five amazing Mercy girls attended Cornerstone Christmas and were absolutely blown away by the generosity of this incredible church family! All 40 of the current Nashville residents were also at the service to celebrate and witness the fun surprise! In a truly memorable moment, two Mercy graduates, Jen and Giovy, who are now serving on our staff, received cars from Cornerstone! They have had to rely on the help of others and have sometimes even had to walk to and from work, with no available means of transportation during their off hours. 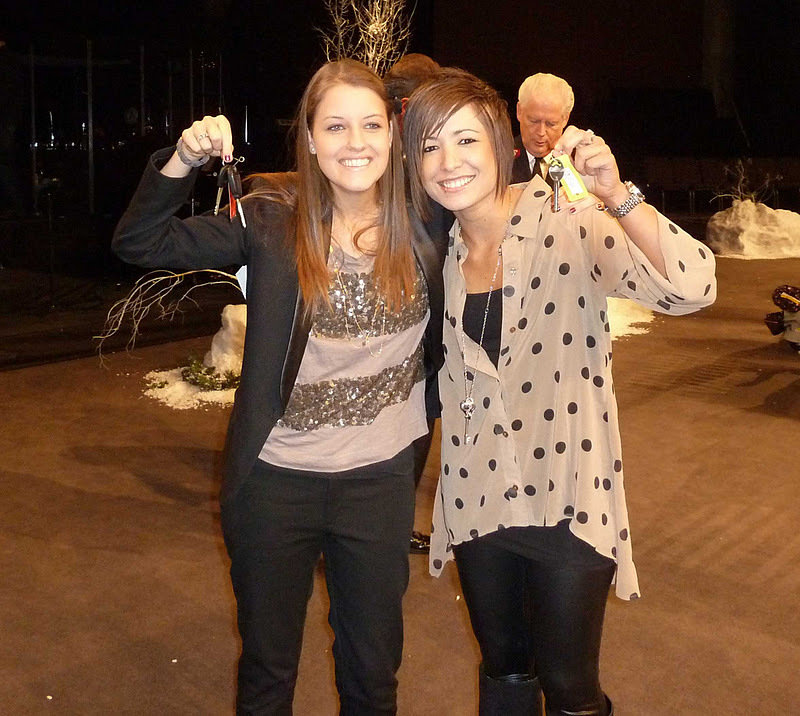 Both of them were speechless as they were handed the keys to their very own new cars! Jen and Giovy hold the keys to their new cars! Jen and Giovy are truly transformed lives and now spend their time helping to transform other lives. Before coming to Mercy, Jen carried deep emotional wounds from sexual and physical abuse and struggled with self-harm and thoughts of suicide. While at Mercy, Jen learned that she was loved and valued by God, and she was completely restored to wholeness. Jen now serves on our Nashville staff as a Residential Assistant. Giovy, a 2006 graduate who is now doing an internship at Mercy’s corporate offices, struggled with a severe eating disorder and almost succeeded in ending her life before coming to Mercy from Peru. In fact, at one point her heart stopped and the paramedics told her parents she was gone. But God had another plan and her heart suddenly started to beat again. While at Mercy, God completely restored her life physically, spiritually and emotionally. Both Jen and Giovy drove in to work this morning in their new cars! As if that wasn’t enough, Cornerstone graciously blessed another Mercy graduate, Ashley. Ashley came to Mercy Ministries in 2006 battling for her life. She struggled with a severe eating disorder and was desperate for freedom. After so many years of damage to her body, doctors told her she would never be able to have the children she and her husband Josh dreamed of. But the so-called experts of the world were wrong and now Ashley and her husband have a beautiful baby boy, Joshua. However, Ashley’s family was hit hard by the recent Nashville flood and they have struggled to make ends meet since their home was severely damaged. Cornerstone surprised Ashley and her family with loads of diapers, clothes and toys for her little boy, Joshua, as well as Kroger gift cards to help meet all of their basic needs. Ashley, Josh and Joshua surrounded by gifts! 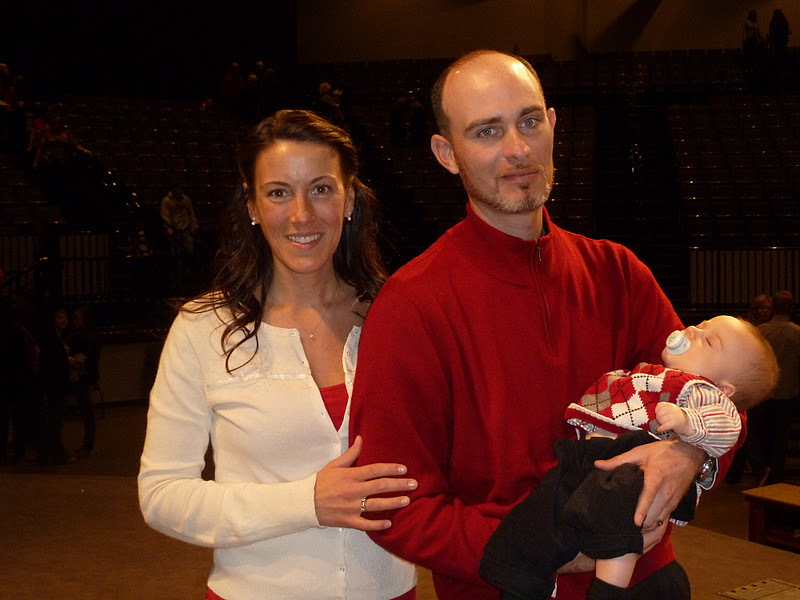 Two current residents, Victoria and Shannon, came to Mercy facing unplanned pregnancy. Mercy Ministries is dedicated to helping each expectant birth mother reach the best decision for herself and her child. Both of these young women have chosen to parent, but needed a little help to get started on their journeys. 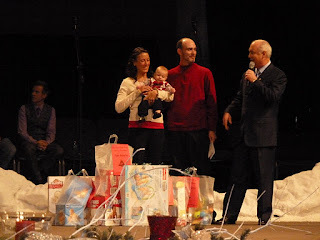 Cornerstone blessed Victoria with everything she needs as a new mom, including a rocking chair, stroller, car seat and even a brand new, top-of-the-line clothes dryer. Current Mercy resident, Shannon, recently gave birth 10 weeks early, but God performed a miracle and baby girl Camdynn is doing great! Shannon was also immensely blessed Sunday morning and now looks forward to bringing home her baby to a brand new baby bed from Cornerstone. Shannon also received a new laptop for use in continuing her education. The day was full of amazing and unexpected blessings! Our graduates were blessed by the spirit of giving and the tremendous effort and generosity demonstrated by the Cornerstone congregation. It was a beautiful reminder for everyone of the true meaning of Christmas. We are so grateful to Cornerstone Church for choosing to reach out to our Mercy Ministries heroes during this Christmas season. To learn more about Cornerstone Church, visit their website at www.cornerstonenashville.org. 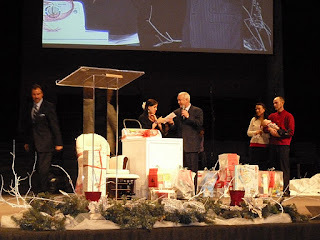 Check out these pictures from this impactful Christmas service!